The closest thing to the original you'll find on the market today. The 91 FR is built on the original H&K tooling, with the SAME machinery, using the SAME drawings and diagrams as the original! So it's about as close to the real deal as it gets, while still being made here in the USA. And while the PTR 91 FR delivers the same unflinching durability and performance of the original, it's not an exact clone. PTR took the opportunity to make a few improvements. Where the original H&K rifles featured a tapered barrel, the 91 FR utilizes a bull barrel. The chamber actually has less fluting than the original -- helping to mitigate recoil without compromising reliability. The original H&K design didn't make any concessions for attaching optics... so PTR fixed the problem by welding a scope mount to the top of the receiver. The 91 FR is well-made, the fit and finish are impressive, it takes cheap and plentiful G3 mags, takedown is easy... hey, there are a lot of reasons to own it. So why wait? 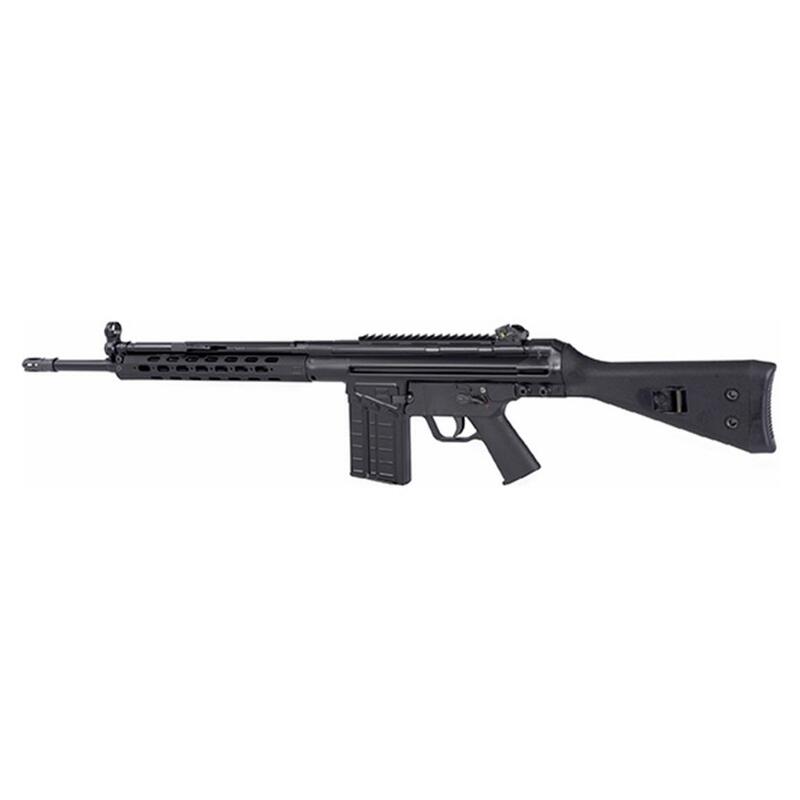 PTR Industries 91 FR, Semi-Automatic, 7.62x51mm, 18 Barrel, 20+1 Rounds, 20 Round Capacity is rated 5.0 out of 5 by 2. Rated 5 out of 5 by Micky from PTR rifle I have both a HK-91 and HK-93 so am familiar with the roller locking characteristic of these kind of rifles. I also have a PTR 91 that I have compared to it's HK cousins. The PTR has a "Green Mountain" match grade barrel. The lower is composite. In my assessment, the PTR comes as close to the HK-91 in quality as possible, considering the price. It also has a rail, making it much easier to mount a scope. The trigger may be a little better than the HK. The jury is still out on accuracy, but I am reasonably sure the PTR-91 is close to, or exceeds, the accuracy of the HK. This may be because of the trigger. Both rifles could be improved with a "Williams" trigger modification. I have been using match grade ammo in my testing phase, so as to get the best from both rifles. So far, I am pleased with my PTR-91 and would recommend it as the best 7.62 full power battle rifle for the money available anywhere.